Gaana is a famous music site for Indian songs. It provides one-stop solution for all your music needs. Many people would wonder if there is an easy way to make Gaana MP3 songs free download. You can read this guide to learn how to make Gaana.com MP3 songs free download. 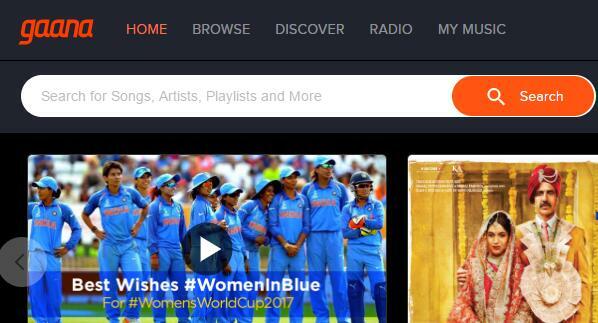 Gaana as a famous Indian music website gives user access to over 30 million Hindi songs, Bollyhood music, English music and regional music. Its interface is modern and clear so that you can easily learn how to use it. It has search box that allows you to download music quickly and conveniently. Now let’s learn how to make Gaana.com download MP3 song. 1. Enter the website: http://gaana.com/ . 2. You can click Search icon to directly search music you want to download or you can directly download music from "TOP CHART". 3. Click the song name and enter to the playing page. You can see the playing bar at the bottom. 4. Tap on the "…" next to gear icon and you can select "Download" to make Gaana MP3 song free download. Then the site requires you to pay money so that you can get unlimited Gaana MP3 song free download. It costs $9.99 for 3 months, $17.99 for 6 months and $33.99 for a year. After you pay for it, you can download music to destination folder. 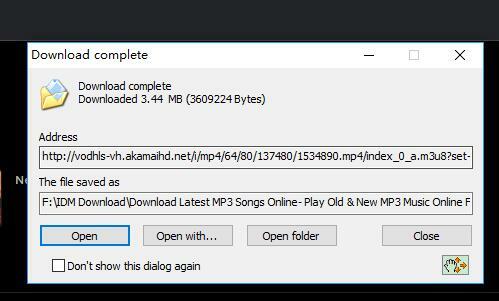 IDM (Download Manager) is a useful tool to easily download music with one click. When you need to make gaana.com MP3 song free download, you can simply open the website and click the download link. After that, IDM will take over the task to download it. IDM allows you to personalize your interface by choosing order, buttons and columns to show up on the interface. Besides, different skins for toolbar in different styles are provided. Now let’s head to learn how to make Gaana.com download MP3 songs with IDM. Download and launch IDM. You can download this tool from the website: https://www.internetdownloadmanager.com/index.html. Go to Chrome browser Settings > Extensions to check “Enabled” right after the name of IDM Integration Module so that IDM will automatically take over the download link. Enter Gaana.com and search Gaana song you need to download. Click the music name and you can see a download box at bottom left. Click the download box, a pop-up box will guide you to choose destination folder for Gaana MP3 songs free download. In the right of the pop-up box, you can see the music length. 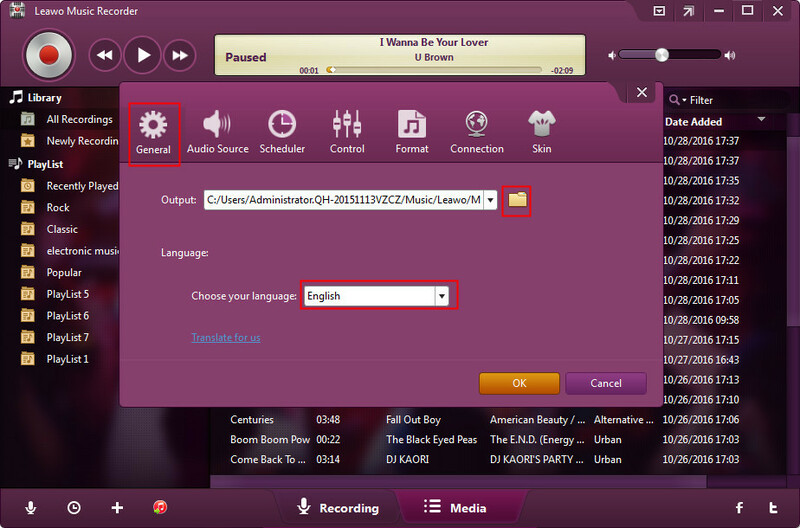 Click “Start Download” and the song will be downloaded to the destination folder. 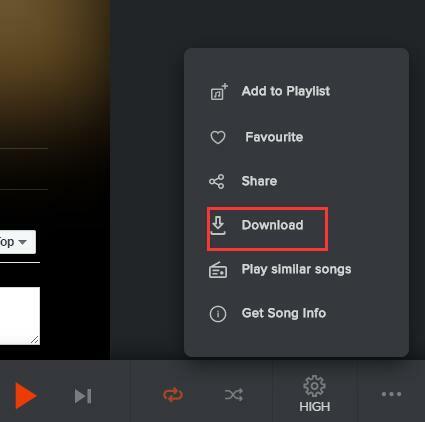 After you finish Gaana MP3 song download, you can be back to the software and choose Categories > All Downloads > Music to see the downloaded music. As for how to make Gaana MP3 songs download, Leawo Music Recorder has a say. 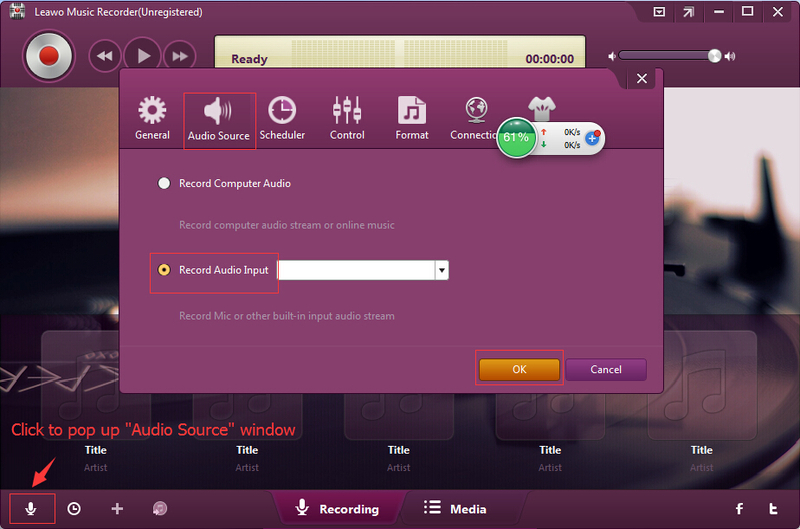 It allows users to make music free download from any sound source like online video, computer music or microphone audio. It is equipped with Task Scheduler to automatically record sound by setting start time and duration and Auto-filter to filter ads in the recording. 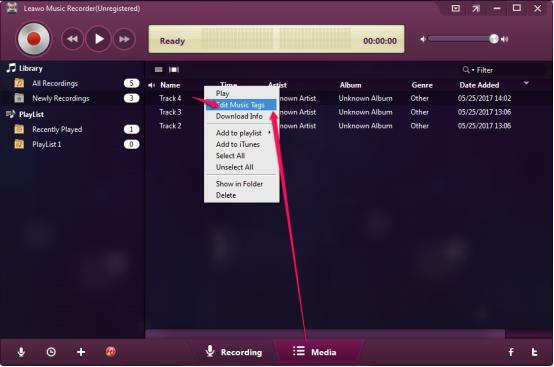 The Gaana MP3 song downloader supports the output format of MP3 and WAV. Furthermore, it can automatically download music tags and you can also manually download music tags like year, title, album, genre, etc. Download and install Leawo Music Recorder. Now let’s take a look at how Leawo Music Recorder make Gaana.com MP3 song download. Click little microphone icon in the lower-left corner to enter "Audio Source" panel. Since we need to make Gaana.com download MP3 songs, here we can choose "Record Computer Audio". 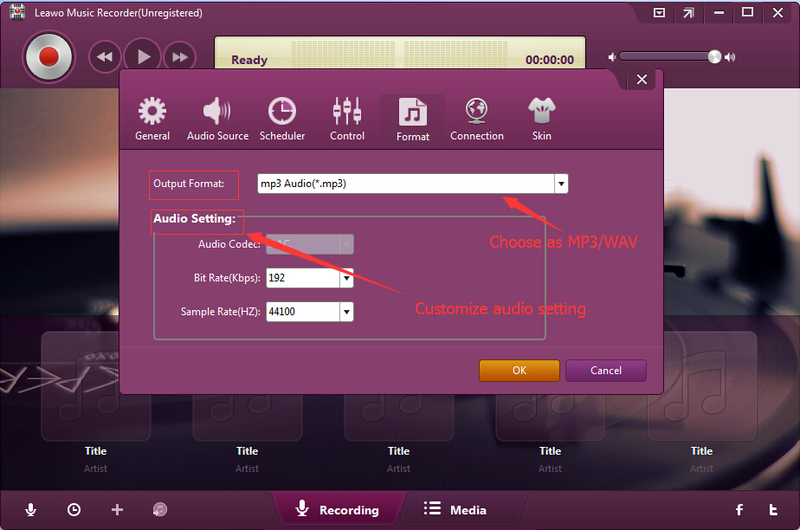 Go to Format > Output Format on the same panel to choose MP3 as the output format. Besides, you can change the parameters of bit rate and sample rate. Go to "General" on the setting panel to save Gaana MP3 song to the target output directory. Activate the recording button at top left and then play Gaana songs you need to download. 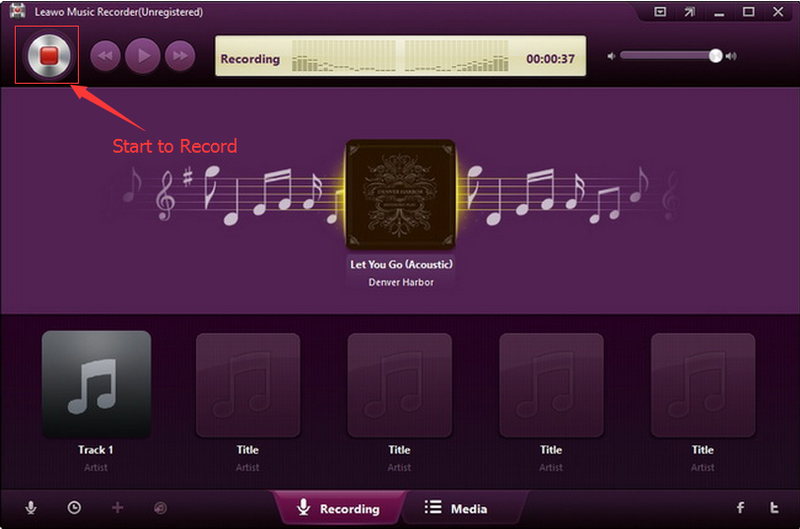 Leawo Music Recorder is capable of downloading and adding audio tags automatically. 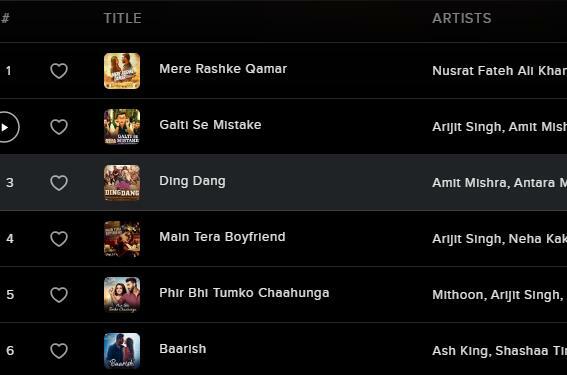 However, you can right click Gaana music to choose "Edit" to edit music tags like song title, artist, year and genre on the Recording panel.